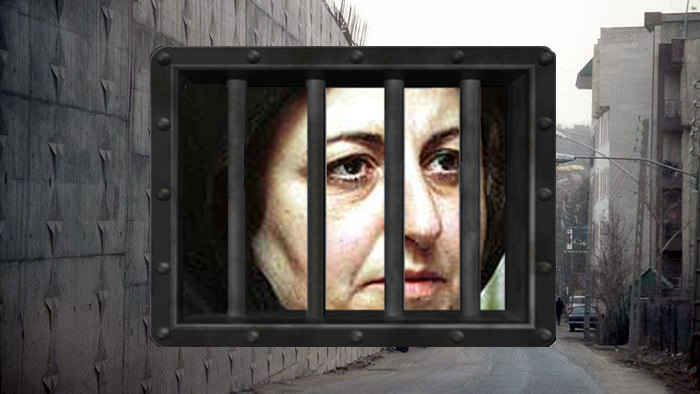 The following is a contribution from Shirin Ebadi Iranian Nobel Peace Laureate and human rights activist to Evin Memorial Campaign , a campaign launched with the support of Radio Zamaneh to build a monument in words to remember those who suffered in and through this prison, and in reaction to Tehran mayor’s plans to wash away that history by turning it into a park and recreation centre rather than a national museum celebrating resistance and the struggle for freedom. On June 27, 2000, at around 3 PM, I was dragging myself back to my office after the hearing and defence of two imprisoned clients to attend another meeting at 5. The phone immediately showed that I had 15 messages. I turned on the phone. The first was from a friend from Radio France. She was asking in a distraught voice: “Shirin, what’s going on? Do they want to arrest you?” and the messages that followed had similar content, with friends and family expressing concern about my possible arrest. My sister called and in a worried tone asked why I had not been answering the phone. I reminded her that I cannot take the mobile into the court buildings and I had forgotten to turn it back on after leaving the building. I inquired about the cause of her concern. She said the one o’clock news had reported that two lawyers were arrested today in connection with the “tape fabricators” case. Now I realized why I had so many massages. I reassured my sister that the report was not true. On July 9, 1999, during the simultaneous attack on the Tehran University dorms by police and “rogue” groups supported by certain factions of the government, a young poet called Ezzat Ebrahimnejad was killed, and I represented his family. A number of others were injured in the incident and they had retained Mohsen Rahami as counsel. I searched high and low to trace the attack back to its perpetrators and initiate proceedings against them. In the course of my investigations, a young man named Amir Farshad Ebrahimi came to my office and identified himself, with clear documentation, as part of the Basij Militia. He had valuable information regarding the agents of the attack. He explained that for political and personal reasons, he had parted ways with the Basij and was prepared to testify in court. With his consent, I made a tape of his statements at the office and provided one copy to the court and another to my colleague, Mr. Rahami. Since the tape contained important political information, I also provided a third copy to the office of Mostafa Tajzadeh, then the political deputy of the interior ministry, to inform President Mohammad Khatami and the Supreme Council of National Security. Unfortunately, rather than triggering an investigation of the allegations brought up by my witness, I simply became a target of threats and criticism by the ultra-conservative dailies Keyhan, Resalat, Yalsarat al-Hossein and others, and a few days later, Amir Farshad, who was guilty of nothing other than giving honest statements, was arrested for disseminating falsehoods. The police tried hard to make Amir Farshad take back his statements and say that I had encouraged him to give false statements, but he refused and bravely stood by his words right to the end. He even provided more evidence to back up his statements, but his statements were never heeded. From the point of view of Keyhan and its editors, this story became known as the “case of the tape fabricators” and they insinuated that I had fabricated this tape to disturb national security and public perception, to topple the regime, etc. Three weeks after Amir Farshad’s arrest, the media reported the arrest of two lawyers in connection with the so-called tape fabricators case, and since my family and friends know that I had made the tape, they became very alarmed. After my meeting on that day, at around 6 PM, I received a call from someone identifying themselves as the secretary of the Branch 16 court. I was told that I had to go immediately to court to address the charges filed against me. I said the court was closed at this time. The response was that justice takes no vacation and I had to go. I said I was in a meeting but that I would go there the next day. Half an hour later, two Revolutionary Guards officers arrived at the office with a warrant for my arrest, which had been issued at 7 PM that day. They accompanied me to the Branch 16 court, where after a few routine questions they ordered my transfer to Evin Prison. I later realized that my colleague, Mr. Rahami, had also been arrested at 10 AM at Tehran University. I told the court that this reeked of interference from the Ministry of Intelligence. It has issued an order and you have obeyed blindly without even taking a statement from me. My colleagues and I established the Society for the Protection of Children’s Rights in 1994. At the time, I was the director of the organization. One of our programs in which I was personally involved was assisting incarcerated children. We would provide them with education opportunities. We also had a counselling section. We established the Correction and Rehabilitation Library, and for this I would often go to the Correction and Rehabilitation Centre. The staff at the centre were familiar with our work and were often very helpful to us. After referring to our acquaintance at the Correction and Rehabilitation Centre, the prison guard told me that she had been recently transferred to Evin Prison. As she left, she said she was ashamed to have to lock the door on me. Up to that point, I had been defiant with the security officers, the Revolutionary Guards and the court clerk, but the teary eyes of the prison guard and her repeated apologies made me so upset that I too cried. Three days later, I was transferred from that section, which was the quarantine ward, and taken to ward 209. I did not see that guard for years, until I ran into her at a meeting. After 25 years on the job, she had finally opted for retirement and rid herself of that “damned” job, as she had described it.